Specialization in ophthalmology (eye diseases and surgery). Subspecialization in cataract, refractive and Laser surgery. Member of the American Academy of Ophthalmology. Till now he performed more than 10,000 different laser operations to get rid of glasses and contact lenses, including Femto-LASIK, LASIK, and PRK excimer laser operations, and more than 5,000 cataract operations including implantation of different kinds of intraocular lenses. In addition, he had done hundreds of other eye operations, like squint, glaucoma, pterygium, chalazion and many other interventions. 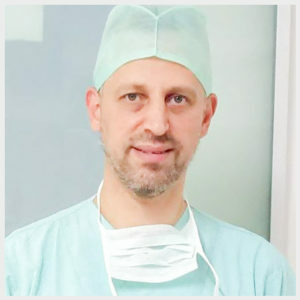 He attended tens of different medical eye conferences throughout the world, like the American Academy of Ophthalmology in USA, European society of cataract and refractive surgery conference and many other conferences in Turkey. Now he is working in a private hospital in Istanbul.